We will never sub-contract your move to another company. The move is performed by the same driver from start to finish. Friendly, fast, fully bonded service. Complete, partial or DIY packing options. 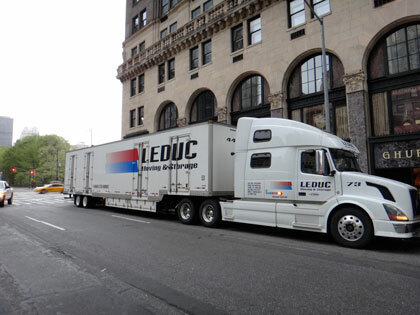 Leduc Moving and Storage is a 3rd generation family owned and operated moving company that provides exceptional personalized service to families locally and across North America. In 1942 when Alex Klak first started in the trucking industry, he was looking for a way to utilize his trucks on weekends when there wasn’t any freight to haul and he began moving peoples furniture on Saturdays. Alex’s sons Oscar and Edgar with their brother in law Mel Hickey saw how popular this service was and how the demand for it was growing. They also discovered that they were very good at it and that giving people quality service and reliability was extremely popular. 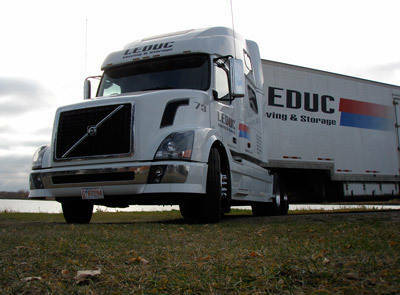 Soon Leduc Moving & Storage had become its own company and had expanded into moving long distances. Today’s Leduc Moving & Storage operation is still based on those same core values that the Klak family built their business on: Quality & Service. Although they supply their staff with the most modern, clean and reliable equipment available it is the people that is Leduc Moving & Storages best asset. With a great many of their staff having been with them for over 15 years, a few more over 20 years and yet a few more still that have been with the company for over 30 years. Now that is an extended family. Oscar’s son Russell now runs Leduc Moving & Storage and his motto of “We don’t want to be the biggest, just the best” is how he operates the company. Efficient, quality, reliable, personalized service is the goal of this company and it has been for over 75 years!